Yep, I had to write about the weather. For those of us living in Canada – the whole freaking country – and New England, this has been one of the most severe winter’s on record. How bad, you ask? It’s currently -23 with the wind chill in Toronto as I write this post, and it actually feels warm compared to the last three weeks. We broke a record here yesterday for coldest temperature. In fact, the City of Toronto had to go to Ottawa to make an exceptional request yesterday: open up the federal armouries to house the homeless. Fortunately, Ottawa acquiesced. On December 26, 1993 I experienced -70 degree weather, the coldest I’ve ever braved. (Interesting fact: If you stand outside naked at -70, your heart will stop in 60 seconds.) That being said, the last two days have felt colder than -70 here in the T Dot. After five minutes outside in full winter gear, I thought I’d developed frostbite in my fingers – and I had gloves on. But back to Dame Byatt! Not only is she an exceptional writer (Possession was a masterpiece), but she’s the heavyweight responsible for helping put a young go-getter named David Mitchell on the literary map; it was she who read an advanced reading copy (ARC) of his second novel, number9dream, and championed him before anyone (except me, of course) knew the limitless potential Mr. Mitchell possessed. With respect to today’s QOTD, I like the imagery Dame Byatt evokes in this one sentence because, as I’ve felt these past few weeks, when it gets this cold it really is difficult to distinguish between the sting of being burned by fire and the acute pain that an Arctic wind can inflict on exposed (and sometimes covered) skin. 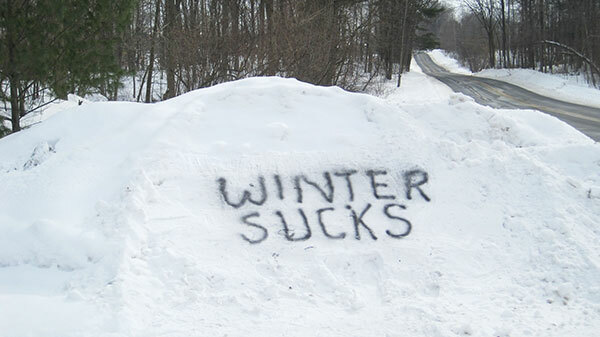 Please, all mountain gods, bring an end to this winter torment and usher in spring early this year. We deserve it! Now, granted, I’m a little bit biased here, but let me draw you a picture. In your head. Can you see it yet? Let me try harder. Remember when Dave Winfield was drafted by teams in the NBA, NFL, ABA (American Basketball Association) and Major League Baseball (as a freaking pitcher!) – and all in the same year! Okay, that guy had sick skills to pay the bills. Possibly the best-known and glitziest cross-sport athlete, however, is “Neon” Deion Sanders, who, in 1992, became the only athlete ever to hit a home run in the Majors and score a touchdown in the NFL in the same week. Booya! Anyway, forget all that jazz. In the literary world, many will tell you that you’re either an editor or a writer. You can’t be both, and certainly not at the same time like the above-mentioned freaks of athletic nature. Well, kudos to Literary Hub (@lithub) for putting us word nerds in our place and singling out some titans of literature that have indeed been cross-publishing all-stars, switch hitters, if you will, who played for both teams at one time in their careers. In a piece titled “7 Writers Who Were Also Editors (And the Books They Edited),” LitHub associate editor Emily Temple (@knownemily) put together a list to make your head spin. Talk about a group of people who wear a cornucopia of hats! Aside from their individual success as writers, you’ve got to take a look at the complete list of authors these people have edited in the past and ask yourself how they could have pulled this off. 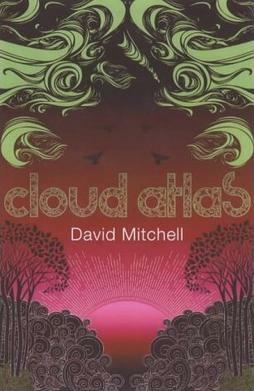 On a personal note, my favourite person on this list (again, slightly biased) is David Ebershoff, a man who 1) is not only a brilliant novelist; 2) not only a remarkably gifted editor in fiction but non-fiction as well; 3) not only edited some of David Mitchell’s best work (Cloud Atlas, Thousand Autumns…WTF? 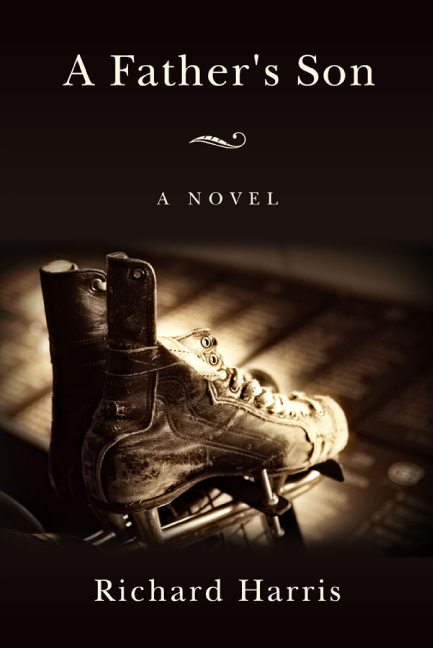 ); but 4) is arguably as intelligent and gracious as Mitchell himself, making the two of them – to use the above analogy – kind of like having Sidney Crosby and Connor McDavid on the same hockey team (2018 Pyeongchang Olympics, anybody?). Not only does Vietnam rank among my favourite places in the world, but one of my most enduring memories of the country is how you can purchase a photocopied version of Graham Green’s The Quiet American (1955) anywhere you go, though truth be told The End of the Affair will always remain his true masterpiece in my mind. From Hanoi all the way down to Saigon (HCMC), you’re bound to find a copy of this “quiet” classic in its plastic casing and impossible-to-find-on-the-Internet green cover that is unique only (to my knowledge) to Vietnamese photocopiers. In an interview with David Barr Kirtley, host of the podcast “Geek’s Guide to the Galaxy,” David Mitchell opened up about a few subjects, including – but not limited to – Ursula K. Le Guin, Dungeons & Dragons, Kazuo Ishiguro’s The Buried Giant, and that very crystalline subject otherwise known as “the future.” As always, Mr. Mitchell has some insightful nuggets of barbecue sauce-laden wisdom to pass on, one of which has to do with the idea of literary genrefication. I think it fair to say that we as people like to classify, organize, break down, label and basically separate anything and everything into smaller and smaller groups. We do it in the humanities, the arts, and the sciences. It’s meant to help us understand and categorize larger units of information and make it more readily accessible, whether as bits of memory or as books at a library. It’s convenient to have a science fiction and fantasy section, it’s convenient to have a mainstream literary fiction section, but these should only be guides, they shouldn’t be demarcated territories where one type of reader belongs and another type of reader does not belong…It’s a bizarre act of self-mutilation to say that ‘I don’t get on with science fiction and fantasy, therefore I’m never going to read any. What a shame. All those great books that you’re cutting yourself off from.